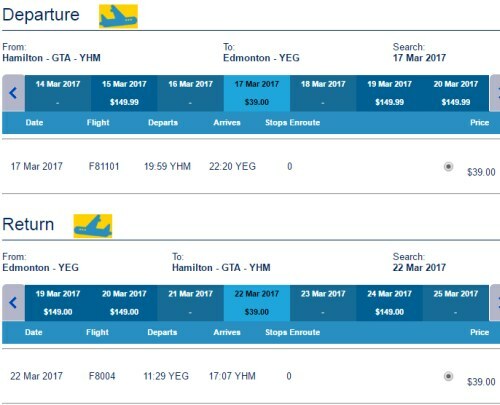 New Leaf has dropped the price of a *few* of their February and March 2017 flights from Hamilton to Edmonton, Alberta down to $78 CAD roundtrip including taxes. There's one realistic date combination in March. It will likely disappear quickly. Every now and then New Leaf releases a few seats at absurdly low prices to attract attention. They generally don't last long. flight deals, canada, north america, alberta, hamilton, yhm, new leaf, edmonton and yeg. 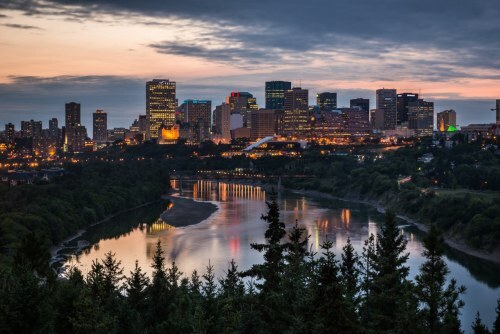 2 Responses to "Hamilton to Edmonton, Alberta - $78 CAD roundtrip including taxes"